Rang Ja is not a very old brand. 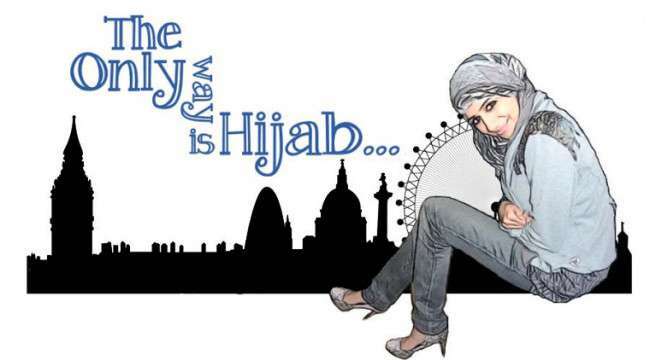 It is a newly established brand that has attained all the attention of young women within no time. The brand is known for it’s rare and exhilarating introduction of colors and cuts. 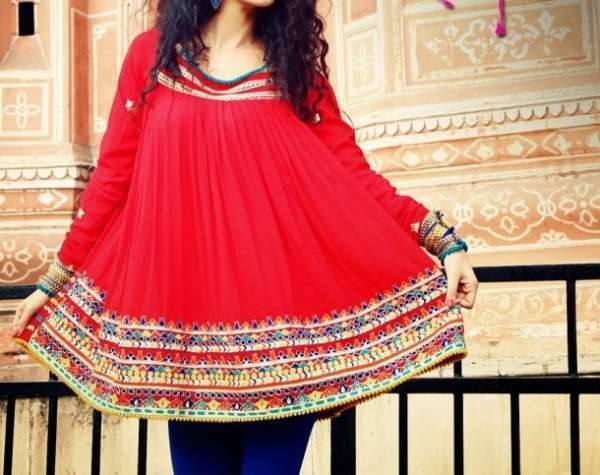 The liberating collection of Rang Ja is popular and gives you exquisite chance to add up to the life of your wardrobe. Eid ul Fitr is approaching. 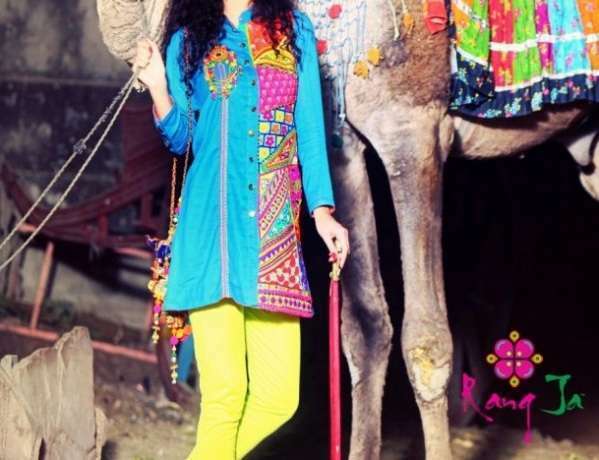 So just as we needed, Rang Ja has launched the Eid Collection 2013 and it is available in stores now. This is another pretty line released by the brand for young women especially. All the styles are made to enhance to the confidence and beauty of you. The collection basically contains kurtas and short shirts. A few years back, the short lengths were completely outdated and every one was loving the long shirts. 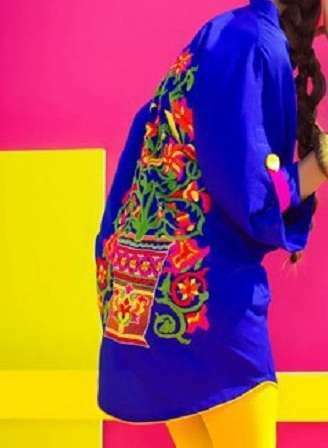 But Rang Ja has made a twisted step as it offers you majority of short shirts and kurtas which are not very long in length. These shirts and kurtas are supposed to be worn with tights, churidaar pajams, or jeans. This combination gives an immensely stunning look to you. You are traditional as well as trendy at the same time. The bright colored tights or pajamas can be matching to your shirt, or even better; you can make up a contrast combination. This contrast technique helps you to make the beauty of shirt more prominent. The colors are vivid and bright. This make the designs even more catchy. The name of the brand suggests you to get colored, so all the dresses made by it are here for your service to get colored with mesmeric and magnificent colors. The embroidery done on the neck lines, hemlines, sleeves, and body of these shirts is very delicate and graceful. It doesn’t overloads the shirt with huge patterns and designs. Instead it is light and gives you very elegant look. 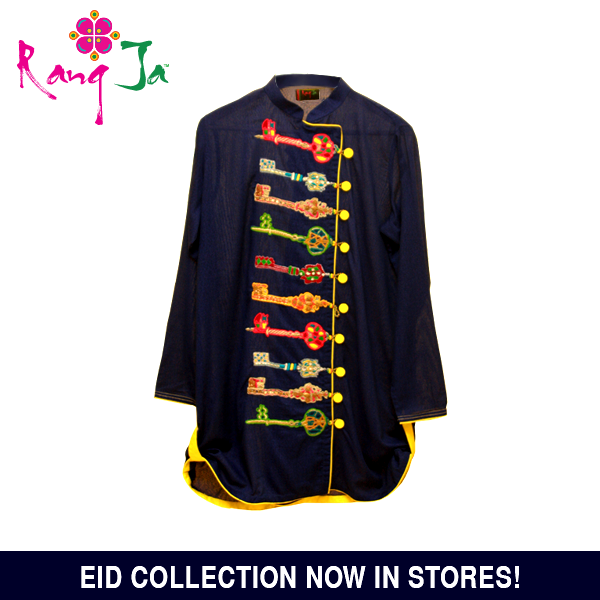 If you are young, and want to fill colors in your cupboard; then it is highly recommended that you have a glance of the Rang Ja’s collection for this Eid. You will absolutely fall in love with dazzling designs. Visit the Facebook for checking the latest collection by Rang Ja.